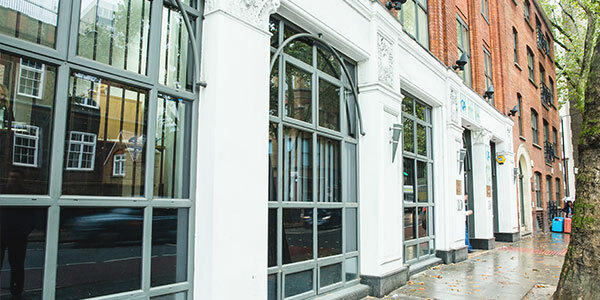 Our London campus is situated right in the heart of the city, in historic Holborn. Close to many transport links, restaurants, bars and attractions, our campus still manages to have an intimate feel, with friendly staff and students alike. The campus has recently undergone an extensive refurbishment throughout and now provides an even better environment for you to study and socialise in. Equipped with computer rooms, common areas, classrooms, library facilities, free Wi-Fi throughout and private study areas, it is an ideal location. Why choose to study in London? Students gain valuable insight into the inner workings of one of the most progressive and diverse cities in the world. London is still regarded as the world’s centre of finance and it was recently placed ahead of New York as the centre of global capital flows and financial services. London’s strong economic position allows for many opportunities for part-time employment for students who are able to work, to help them to either put what they have learned into practice or supplement their living expenses. London is one of the world’s cultural centres, with over 200 museums (twice as many as Paris or New York), many of them are free to visit, as well as hundreds of historic buildings, concert halls, theatres, thousands of acres of park land, many sites of scientific interest and 4 world heritage sites. London has an amazing and world renowned social scene, and is well known for many top class restaurants, pubs, bars, clubs and cinemas. Many students take advantage of studying in one of the best locations in the world for live music, with places such as the O2 Arena, Wembley and many other internationally famous venues such as the Brixton Academy, all regularly hosting top artists and bands. There are also a vast number of carnivals and festivals such as Notting Hill, celebrated in London during the year. London has a fantastic and well developed public transport system which allows students to travel easily into and around the city. The underground or tube network, the 24-hour buses, the national train network connecting London with the rest of the country, and of course the ever reliable London black cabs are always there to help. Cycling is also becoming more popular each year as a ‘green’ transport method. Head over to our blog for more posts covering academic skills, events, things to do, programme information and much more.